Vŏnē Research is currently diving off the southeastern coast of Florida. As part of our Lionfish Education, Management and Control Program, we are photographing, monitoring stomach content, notating size and weight, and recording and reporting the GPS coordinates of the location of the capture. Due to the rapid nature of the invasion of lionfish it must be realized that a complete eradication of the species is impossible, therefore a Lionfish Management Plan needs to be devised and implemented to actively manage the amount of impact that lionfish will have in the Atlantic. The goals and objectives of this management plan should clearly define how we can adequately control the impact the species will have on our coral reef ecosystem, and consideration should be given to the the risk they pose to our community and to our local economy. 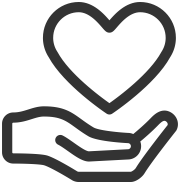 Management goals and objectives should be coordinated and communicated with different agencies to ensure local and regional cooperation, education of these goals and objectives should be available through outreach programs to all stakeholders who are working together for the same common goal, research and management options should be developed on the nature of this infestation, and a species control mechanism should be established which will seek to limit the effects this species will have on our environment. 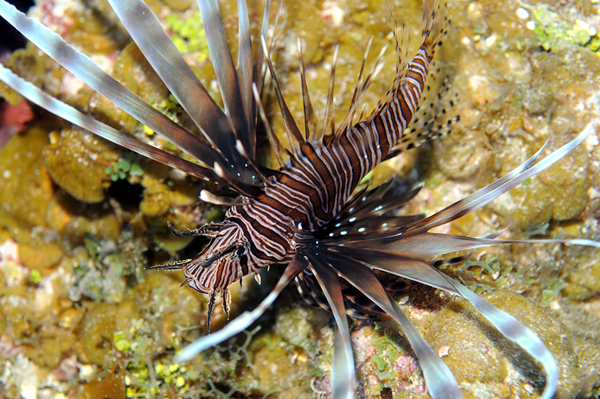 Vone Research is currently in the process of developing a ‘Lionfish Management Plan’. Vone Research has recently starting working with dive boat operators to assist us and our partner organizations in one aspect of our Lionfish Education, Management and Control Program. We are using them as trackers to report to us the GPS coordinates and reef locations where lionfish are spotted by their dive patrons. We in turn will follow along behind to collect the species at those designated locations. species that do not have an established bag limit, more than 100 pounds or two fish per harvester per day (whichever is greater), is considered commercial quantities. A saltwater products license and commercial vessel registration are required to harvest commercial quantities of unregulated species. Download the full version of the 2011 Saltwater Fishing Regulations from the Florida Fish and Wildlife Conservation Commission, or a brief Summary Chart of their regulations in .pdf format. Since venomous lionfish began invading the Cayman reefs back in 2008, divers were the only line of defense against them. However, groupers are now joining in on the fight. On Little Cayman, dive masters began feeding lionfish to groupers in hopes that the large fish would teach other groupers to do the same. It started with the divers feeding dead lionfish to the tame Nassau groupers that interact with divers. In the beginning, they fed their friendly groupers mainly dead lionfish that they had previously caught and killed. The instructors would take the nets down with the dead lionfish and open the bags up when the groupers came to visit. Once they got used to the idea of dead lionfish, they progressed to live lionfish from the nets. Even more recently they have started to take live lionfish from the reefs, when the dive masters pointed them out. Please keep in mind that prior to teaching groupers that lionfish is a tasty snack, the dive masters had never fed the groupers anything before. Groupers have a nuclear hunting behaviour with other creatures such as moray eels, whereas they hunt together. The groupers use the dive masters as hunting partners as they would point out the lionfish to hunt. Groupers are quick to learn and often mimic the behaviours of other groupers. However despite the fact that groupers are eating lionfish pointed out by divers, it is still unknown as to whether they are actually taking the poisonous lionfish of their own accord without the divers present. We are currently in contact with this dive group in the Cayman Islands and are in the process of obtaining video footage of the groupers eating live lionfsh, and finding our more specific details on this subject. For further information on the continued development of these groupers eating lionfish, we are working on a ‘Groupers’ page and will share this infomation with you as it becomes more readily available to us.